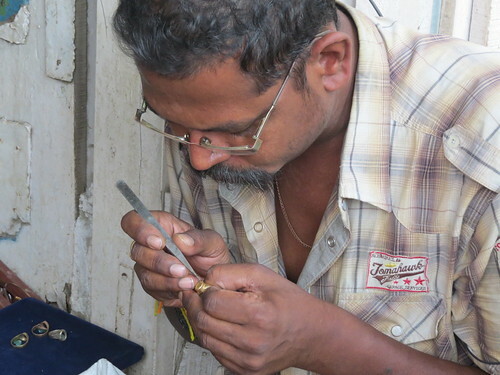 about artisans who make a living by repairing jewellery. 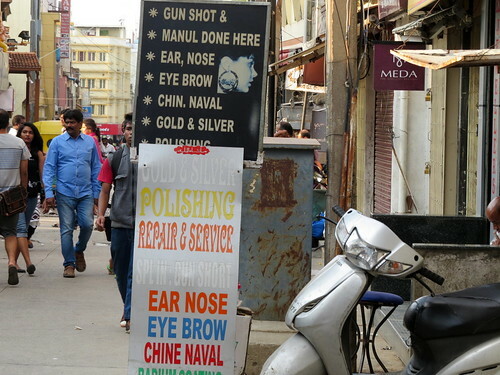 On Sunday, two friends and I went to Commercial Street, a shopping area in Bangalore. 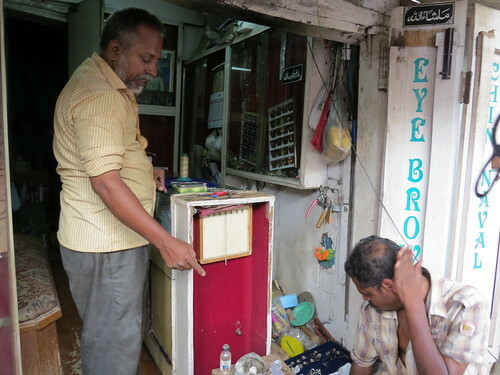 Off this street is another narrow street, called, quite appropriately, Jewellers Street. 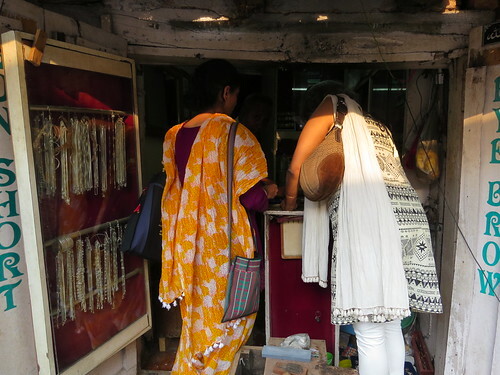 Both of them had jewellery that needed repair, so we found a small shop. 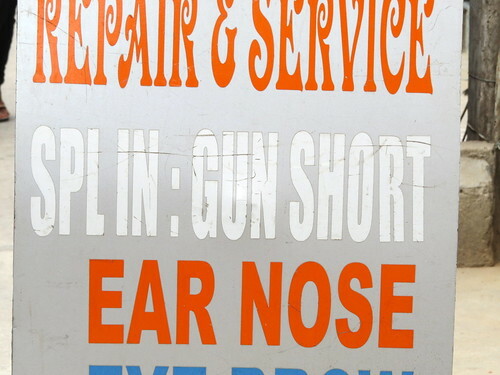 “Gun Short” is actually a “gunshot”, using a staple gun to pierce the ear quickly and painlessly. “Manul” piercing could also be done. My friends showed the shopkeeper the work to be done, and negotiations for the amount to be charged were successfully concluded. soap nut (called reethA in Hindi and Kannada, and boondi kottai kAi in Tamizh) is used. 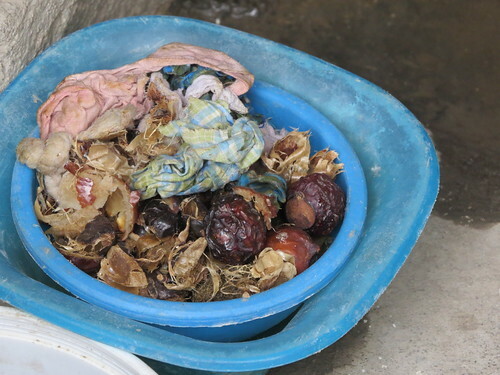 The “meat” of this nut foams up well, and is used extensively for cleaning silks, as well as for washing hair. As we were getting our jobs done, another customer walked in. He needed a stone to be replaced in a ring. 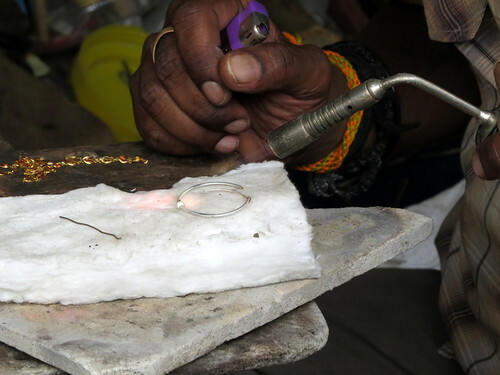 You can see how the oxyactelyne torch is delicately turned on to the area to be repaired. The torch comes with its own little cylinder, too. 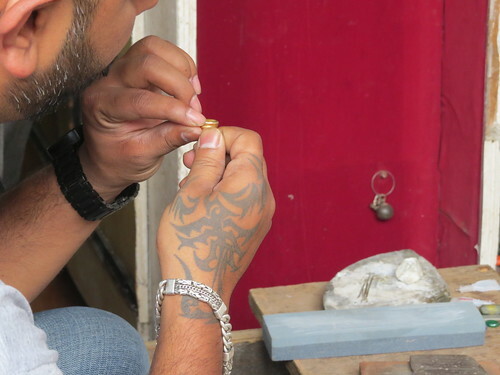 The stone is carefully set into the ring. The customer inspects the repaired ring. 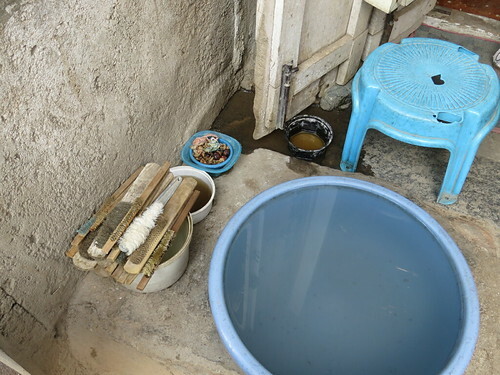 My friends, too, were pleased with the repairs done, and we parted on mutually satisfied terms! 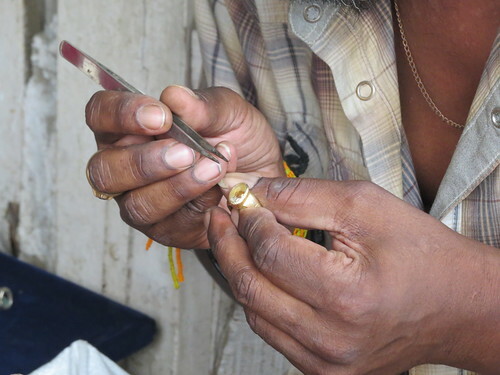 My salute to the many skilled craftsmen who eke out a living, dealing with precious metals and stones.